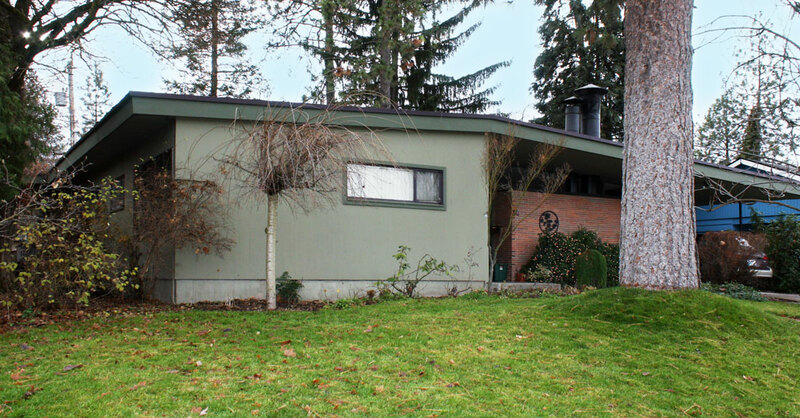 The Robert N. Arick House was designed for Robert Norman Arick and his wife Erma Pauline in 1952 in what was often called the “Contemporary” style in the 1950s and 1960s. A Contemporary – or simply “Modern” – house offered few traditional stylistic features or details, relying on overall form and simple modern details to convey its style. Materials also could play an important role, as seen here, where color and texture lend a richness and complement the composition of the front façade. Lawrence George Evanoff was born in 1918 in Spokane. 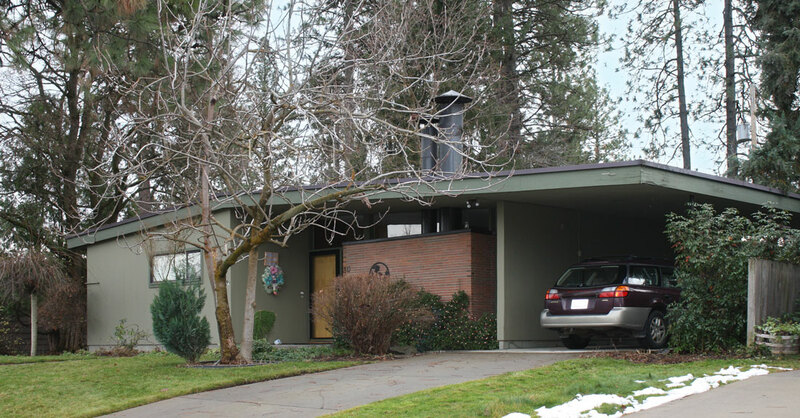 Following graduation from Lewis & Clark High School in 1936, he worked as a designer, site planner, and chief draftsman for a number of firms before earning a bachelor’s degree in architecture in 1948 at the University of Washington. 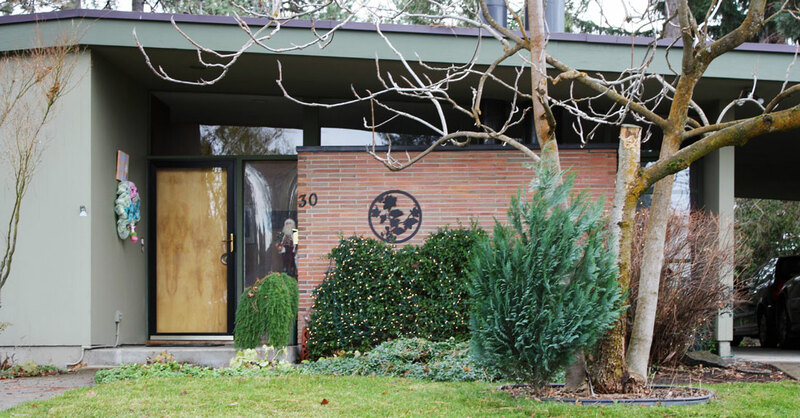 He taught architectural courses at the University of Idaho until 1949, when he opened his own practice in Spokane. 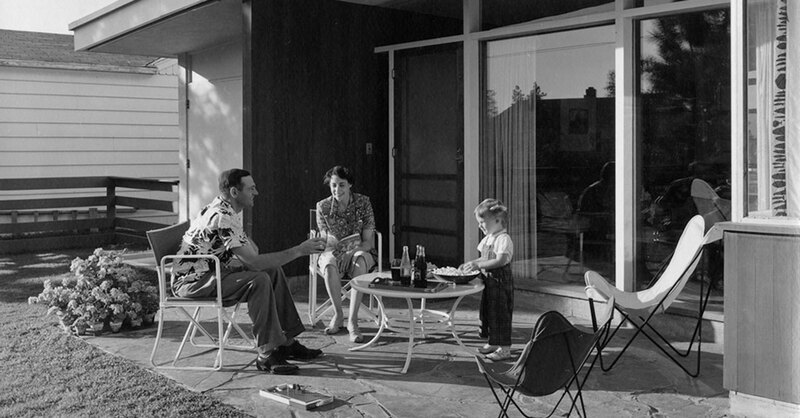 Though a much-published advocate for the Modern style – in newspaper articles, Arts & Architecture, Better Homes & Gardens, et al. 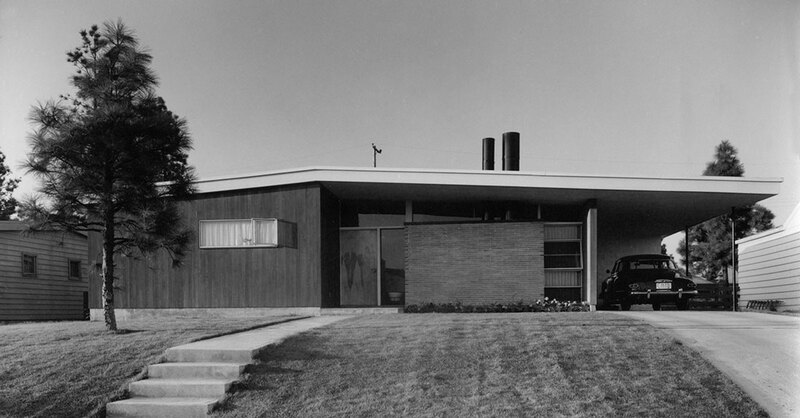 – it was his design for the Arick house that garnered nationwide attention for Evanoff. 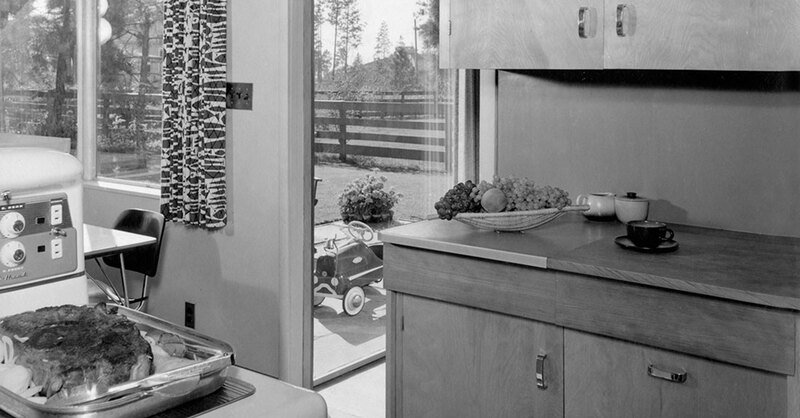 First featured in the May 1953 issue of Better Homes & Gardens, it became “Design no. 2305” in the magazine’s “Five Star Homes” series. 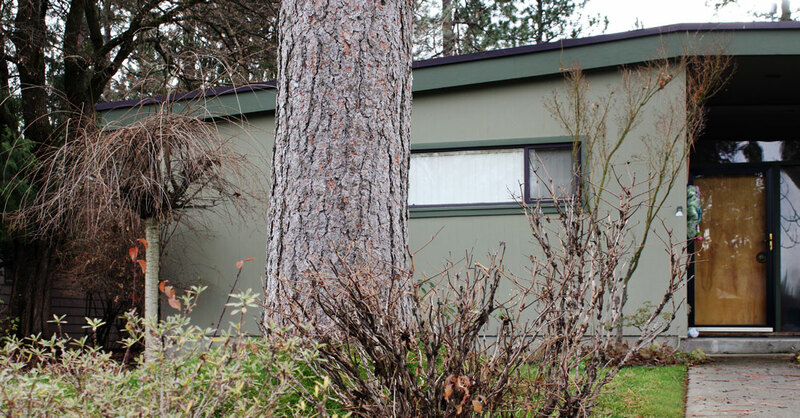 The plan was picked up by the Associated Press and featured in newspapers across the county. In 1971, after battling multiple sclerosis for 15 years, Evanoff was forced to retire. He died in Spokane in 1985.